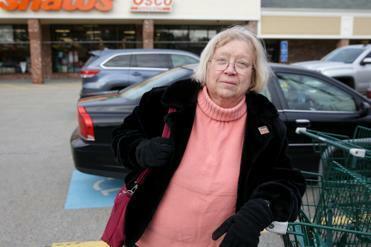 Ann Deluty has received only one of her two vaccine shots for shingles. Susan Grosdov’s doctor recommended in August that she get a shot of Shingrix — a powerful new vaccine that can prevent the pain, rashes, and general misery of shingles. The only problem? There was none in stock. So Grosdov, 66, a retired Harvard Medical School administrator, returned in November, but the vaccine was still unavailable. She tried two pharmacies near her Saugus home — one advertising “shingles vaccine” — but they were both waiting for more to be delivered. So many folks are clamoring for Shingrix that the drug maker, GlaxoSmithKline, can’t keep up with the demand. Although the company says it is hastening to make more as quickly as it can, the backup has left vaccine seekers frustrated, with many waiting for their doctors’ offices and pharmacies in Massachusetts and across the nation to get supplies. Curtatone, 52, who’s been in and out of the hospital twice in recent weeks, is now on the mend — and he’s become an evangelist for the new vaccine that was introduced late last year and is considered more than 90 percent effective in preventing shingles. The debilitating viral infection afflicts about 1 million mostly older Americans annually with a blistering rash and pain that can linger for months. “I’ve convinced a dozen people so far to go out and get the vaccine,” Curtatone said. But that may be easier said than done. Stung by complaints and criticism, GlaxoSmithKline, the British pharmaceutical giant, is scrambling to boost Shingrix output, in part by offloading some work to its other vaccine production lines that aren’t running at full capacity. Starting this month, the company will increase its shipments of the vaccine — given in two doses, two to six months apart — to twice a month, said spokesman Sean Clements. He said nearly 7 million doses of Shingrix had been administered worldwide by the end of September, mostly in the United States, but the company is working to pick up the pace next year. The company was blindsided by the heavy demand for Shingrix, which was approved by the Food and Drug Administration in October 2017. Demand spiked shortly after the FDA approval when the Centers for Disease Control recommended it for healthy adults age 50 and over. That recommendation led to broad insurance coverage of the vaccine by private health plans and Medicare, the federal health insurance program for older Americans. In clinical trials, Shingrix proved more effective and long-lasting than an earlier shingles vaccine and the two doses are expected to be enough to protect people for the rest of their lives. Clements said it takes six to nine months to produce a vaccine batch containing hundreds of thousands of doses. Various components — including an antigen that induces an immune response and an immune system booster called an adjuvant — are made in multiple plants in the United States and Europe. While the drug maker began producing some Shingrix components even before the vaccine was approved by US regulators, it had projected demand based on the uptake of the earlier shingles vaccine that was recommended for adults over 60. Doctors are now suggesting their patients get the Shingrix vaccine even if they received the earlier vaccine, whose effectiveness wanes over time. While the second Shingrix dose is recommended to be given two to six months after the first, the doctors say the vaccine is still likely to be effective if people wind up getting the second injection somewhat later. About one in three Americans is at risk of developing shingles at some point, the CDC estimates; for adults over 85, the chances are one in two. The infection is triggered by the reactivation of the same virus that causes chickenpox in children. And while the symptoms and severity can vary, many older people are wary of enduring the pain of shingles and worry about the nerve and eye damage that sometimes accompany the infection. While some doctors’ offices have ordered Shingrix, roughly 70 percent of the injections in the United States have been administered at pharmacies such as CVS or Walgreens. CVS has 376 standalone pharmacies in Massachusetts, and another 40 inside Target stores, but as of Dec. 1 the vaccine was available in only 200 of its locations, according to CVS spokeswoman Amy Lanctot. Other pharmacies are grappling with similar supply shortages. Ted Kaplan, who teaches math and statistics at Bentley University and Babson College, said he waited for several months but finally got his first Shingrix injection last week at a Walgreens in Newton. Retired financial executive Jeff Temple, 75, of Hanover wasn’t as fortunate. He and his wife Rita, 74, got their first shots at a CVS this fall. But they were unable to get their second last week. “They said they were out of stock, and we should come back in January,” Temple said. GlaxoSmithKline has posted a “vaccine finder” on the Shingrix.com website. But the company acknowledges that because demand is so brisk, the listings aren’t always up to date. Educating friends and constituents on the perils of shingles and the importance of the vaccine has become “a focal point of mine,” said Curtatone, the Somerville mayor, who’s working mostly from home during his recovery. He contracted a particularly virulent case of the virus known as Ramsay Hunt syndrome, which can case paralysis on one side of the face. The mayor, who’s on pain medication, said he’ll need occupational therapy to regain facial movement. When his former chief of staff suffered from shingles some years ago, Curtatone recalled that he and his deputies were sympathetic — but they didn’t heed her warning.